Mercator Gold plc is pleased to announce that it has entered into a binding heads of agreement (“the Heads of Agreement”) with respect to the sale (“the Transaction”) of its entire interest in New Mexico Copper Company Inc (“NMCC”), the New Mexico, USA corporation solely owned by Mercator that holds an exclusive option over the Copper Flat coppergold- molybdenum-silver project in New Mexico (“Copper Flat”), to THEMAC Resources Group Ltd (“THEMAC Resources”), a company listed on the TSX Venture Exchange (ticker: MAC.H). Once the Transaction has completed, it is the intention of THEMAC Resources to exercise NMCC’s option over Copper Flat and to progress the project to production through all necessary feasibility, financing and permitting steps. Mercator is to receive consideration of 10.5 million fully paid shares in THEMAC Resources and 10.5 million warrants valid for five years and exercisable on a one for one basis at C$0.28 per share. The closing price of shares in THEMAC Resources on 12 March 2010 was C$0.24 and there are currently 12,634,705 shares in issue (18,128,816 fully diluted). THEMAC Resources is to fund or reimburse all expenditure by Mercator and/or NMCC in relation to the Copper Flat project from the date of the Heads of Agreement until the completion of the Transaction, including any payments to exercise NMCC’s option over Copper Flat that fall due. The board of directors of THEMAC Resources is to be composed of five persons: two nominated by Mercator; two members of the current board; and one other person to be mutually greed. 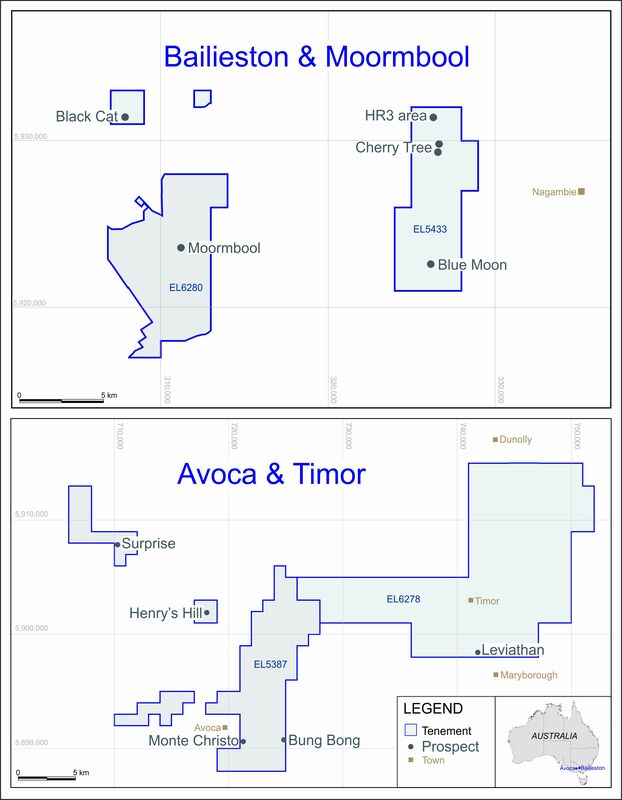 THEMAC Resources is to place 5.5 million shares at C$0.15 per share, with attached warrants valid for one year and exercisable on a one for one basis at C$0.28 per share, with Mercator and/or Mercator’s nominees (“the Initial Placing”). A second placing (“the Second Placing”) of shares sufficient to raise C$5 million at a minimum placing price of C$0.50 per share, with attached warrants valid for one year and exercisable on a one for one basis at a price sufficient to raise C$10 million hould all the warrants be exercised, is to be undertaken by THEMAC Resources prior to completion of the Transaction. Exercise of the warrants issued in the Second Placing is to be compulsory if the closing price of shares in THEMAC Resources exceeds the exercise price of the warrants by 50% or more for more than fifteen consecutive trading days. “The Copper Flat project is an exceptionally promising asset in the present copper market, and vending New Mexico Copper Company Inc and its exclusive option over the project into a dedicated North American listed company with highly capable and experienced management will ensure that the project becomes well placed to obtain the funding required for the timely recommencement of production. As a result of the Transaction Mercator will no longer be responsible for the purchase and development costs of the Copper Flat project but will retain a very substantial interest in the project’s future development. We believe that Mercator’s interest in THEMAC Resources will have the potential to generate extraordinary returns for the Company and its shareholders. The majority shareholder of THEMAC Resources is Marley Holdings Pty Ltd, which currently holds 8,850,768 shares (70.25% of outstanding shares). Marley Holdings Pty Ltd is the trustee of the Maloney Family Trust and Kevin Maloney, a director of THEMAC Resources, is a director of Marley Holdings Pty Ltd.
Kevin Maloney is the founder and Chairman of The MAC Services Group Ltd, Australia’s largest publicly listed provider of remote area mining accommodation and services. He has had an extensive career in retail banking, finance and resources. Kevin joined Elders Resources in 1981 after spending 20 years with ANZ Bank. During his time at Elders Resources, Kevin held numerous positions including Chief Executive Officer of Elders Resources Finance Ltd. The President of THEMAC Resources is Barrett Sleeman, a mining engineer with diverse experience in most mineral commodities including base and precious metals, industrial and bulk minerals, and diamonds. His experience includes open pit & underground mine production, and he has had very extensive exposure to the financial and legal aspects of running public companies. Completion of the Transaction is conditional on, inter alia: the finalisation of a definitive agreement or agreements (to occur before 30 April 2010); due diligence; the approval of the TSX Venture Exchange and receipt of any other necessary regulatory approvals; the completion of a Canadian National Instrument 43-101 compliant preliminary economic assessment (“PEA”) of the proposed recommencement of production at Copper Flat (a PEA is already being prepared by SRK Consulting); completion of the Initial Placing (to take place within 14 days of the date of the Heads of Agreement); completion of the Second Placing (to take place within 120 days of the date of the Heads of Agreement); and approval by shareholders of THEMAC Resources (the Heads of Agreement has been approved by majority shareholder Marley Holdings Pty Ltd). On the basis of current historic reserves and assuming metal prices of US$3/lb copper, US$10/lb molybdenum, US$900/oz gold and US$13/oz silver, the Copper Flat project is estimated to have an NPV of US$348 million and an IRR of 45%, assuming initial capital costs of US$115 million for the recommencement of production and a discount rate of 8% (figures sourced from a preliminary review of the project carried out by SRK Consulting in August 2009). The current price of copper is in excess of US$3/lb.